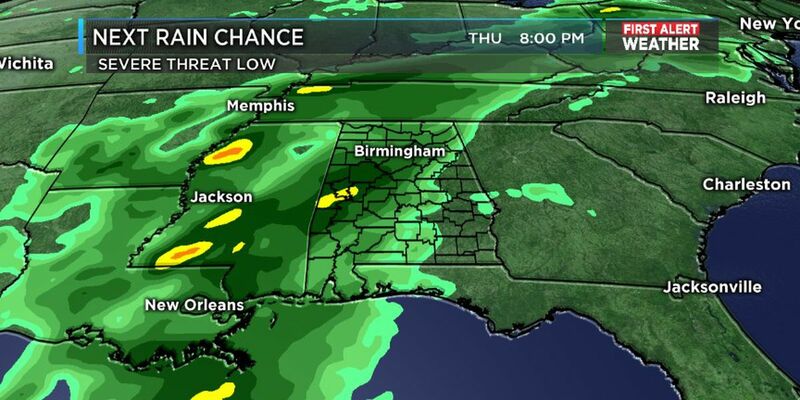 BIRMINGHAM, AL (WBRC) - Patchy drizzle and showers continue to impact our area tonight. There is a very low cloud base with temperatures ranging from 60s over in west Alabama to 50s further east. The low clouds will result in very low visibilities in the higher elevations to the east. The temperatures will go up a few degrees overnight as a south wind increases after midnight. The breezy setup will be in response to an approaching cold front that will reach the state around sunrise time. 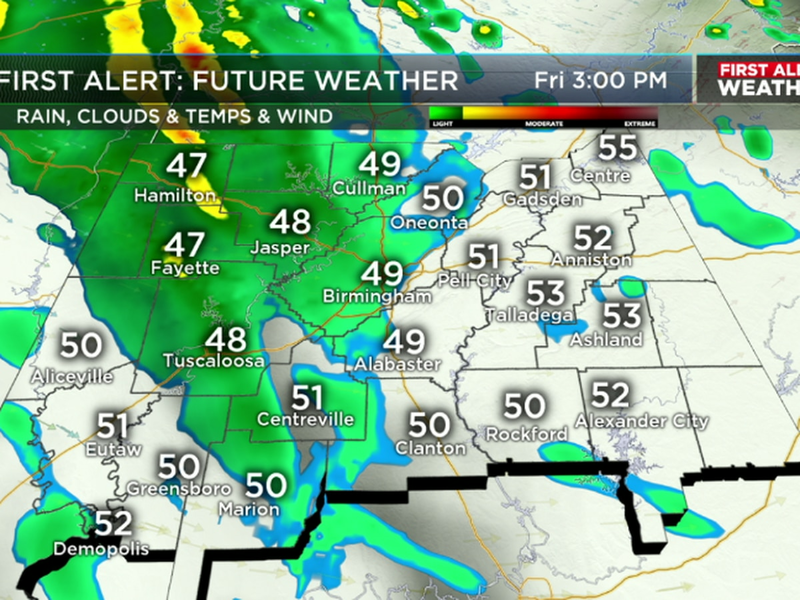 A line of heavier rain and possible storms will enter West Alabama and move east across our area through late morning. With respect to TIMING, the line should reach places like Tuscaloosa, Birmingham, and Oneonta by 7 AM. The line will reach places like Alabaster, Talladega, and Anniston during the 9/10 a.m. time frame. The severe threat remains very low with this system because of the lower instability. That being said, I would check for updates on the Weather App before you head out the door in the morning. While the risk of severe weather is low, the possibility of an isolated tornado is non-zero given the wind shear parameters. The bigger story will be the wet roads and I would factor in some extra drive time for work Tuesday morning. I’m expecting our high temperature to occur early tomorrow, with temperatures tumbling into the low 50s and 40s during the afternoon and evening as the rain exits from west to east. THE REST OF THE WEEK: Cold and dry weather quickly returns tomorrow night, with lows tumbling into the middle 30s. You can expect a periods of sunshine, with highs nearing 60 on Wednesday. If you have plans for VALENTINE’S DAY, the chance for scattered showers will be returning during the evening over West Alabama. The wet weather will become more likely later at night, with a period of rainy weather and possibly as few storms during the morning on Friday. The risk of severe weather with this system looks to remain very low. This wet weather will taper off to showers and mist before ending Friday afternoon and evening, with dry weather returning just in time for the weekend. You can expect a partly sunny sky for the weekend, with highs in the 50s and lows in 30s. Wes joined WBRC FOX6 News in 2010 as weekend meteorologist and primary back-up to the chief meteorologist. 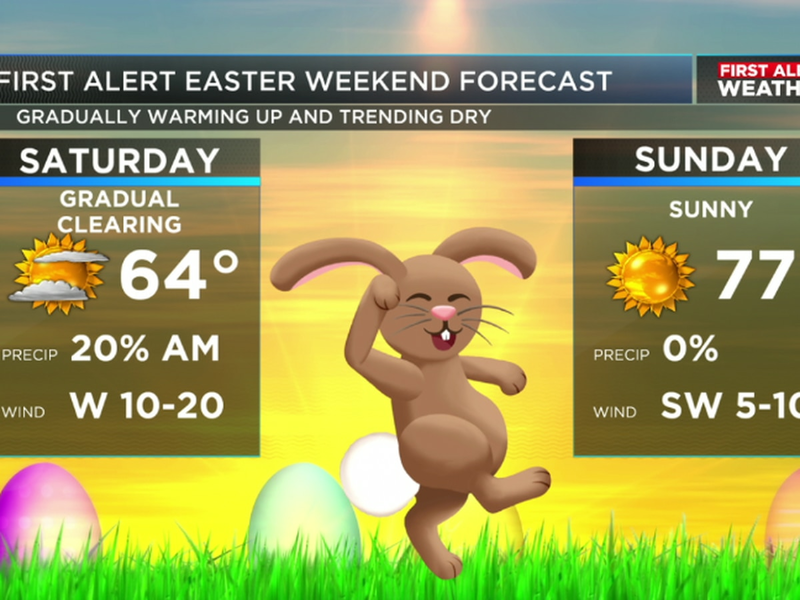 You can catch Wes’ forecast on weekends at 9, 9:30, and 10 PM. The forecast is looking dry and warm for the next few days. The sky is clear Monday night with overnight lows in the upper 50s to lower 60s.